Bollywood Queen Kangana Ranaut who was seen opposite Prabhas in Ek Niranjan is renowned for her bold roles on reel and even bold statements in real life which often lands her in trouble. She is all set to show her star power turning Manikarnika-The Queen of Jhansi which is all set for a grand release on Jan 25. 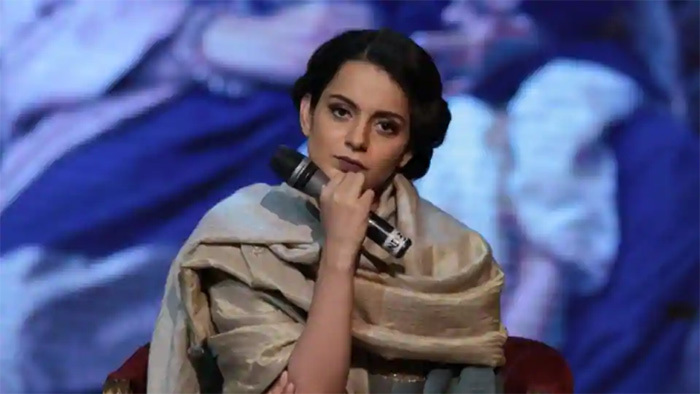 While promoting the film, Kangana Ranaut spoke about sexual harassment and also sought to expose top stars. Kangana said top stars used to make her wait for hours and sometimes cancel shoots without prior information. She said, "Making me wait on set for six hours, willingly giving me wrong call time to make me stand, always giving me the wrong set of dates so I'm missing out on opportunities and then cancelling the schedule last minute by these heroes. Ganging up on me and not inviting me to film events, launching trailers without me and then someone else dubbed for me without even telling me, which is violating the basic right of taking permission from an actor." She elaborated saying, "Harassment happens on many levels. So many times on sets, I wasn't sexually harassed, but some people had ego issues. I was harassed on many other fronts. It wouldn't come under #MeToo but it was still harassment."